A red cotton shirt once belonging to artist Andy Warhol was cut into 57 unique pieces. 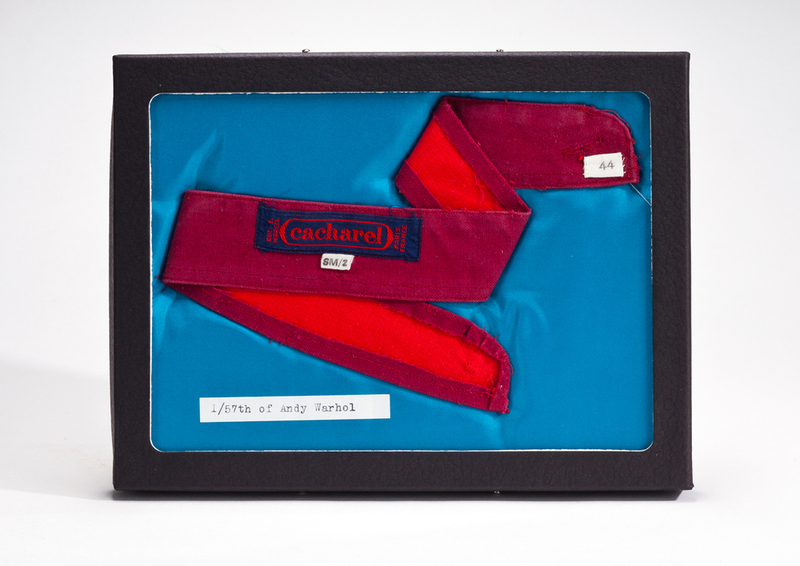 Each piece is hand-numbered and archived on turquoise satin in a glass-fronted box. The boxed shirt fragments come with a certificate of authenticity signed by Andy Warhol’s nephew Donald Warhola (whom the shirt had previously belonged to) and myself. 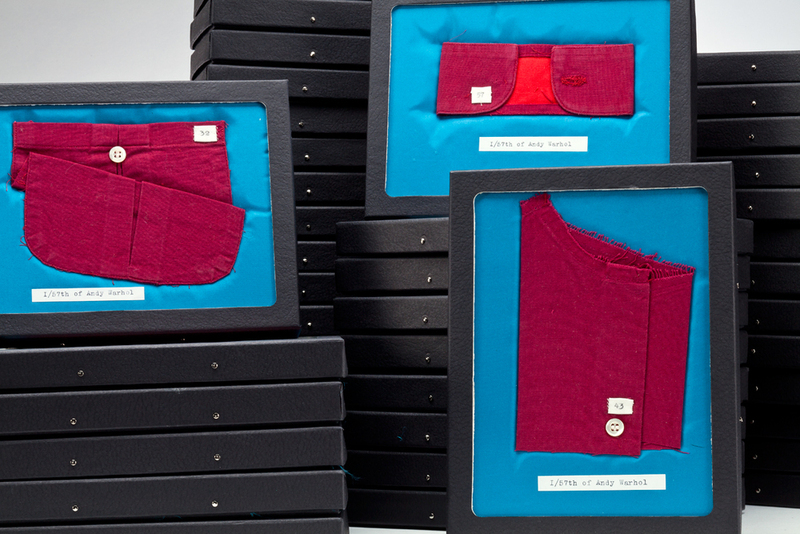 Included in each box is a needle threaded with red cotton, the exact colour of the shirt. In the event that the new owners accidentally meet one another in later life, the shirt can slowly be sewn back together. 1/57th of Andy Warhol was commissioned and distributed by CSA-PGH.